We all know that Globe prepaid gives us so many affordable options on how we spend our load every day to connect with our love ones and friends. If you want to ask what to promo to register with your 15 pesos, we have all the answers that you might like and maybe share with other subscribers. With the given amount, you can already enjoy unlimited text to all networks, data and even call if you want to spend your regular load. With your Php15.00 budget, you can go for 1 day, 2 days and even 3 days validity based on your needs and your daily lifestyle. You can also create your our promo with your desired budget via Globe GoSAKTO menu. You have the options to register a promo via SMS keyword or you can visit your nearest load retailer to avail any of the given lists below. Send all the promo keyword to 8080. You’ll receive an SMS confirmation up successful subscription to any of the above promo. 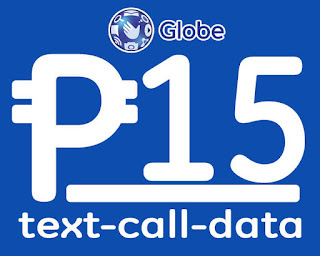 The GOALL15 is only available to select city in Visayas but you can still try this offer and see the Globe reply. The GoSURF15 is a top up offer if you have active GoSURF50 subscription.